Self-Help for the Elderly’s home health care program provides quality home health care, information and education to the community, access to home health care, and assists patients and families in optimizing their quality of life. Our goal is to help seniors get better, regain independence, and become as self-sufficient as possible. 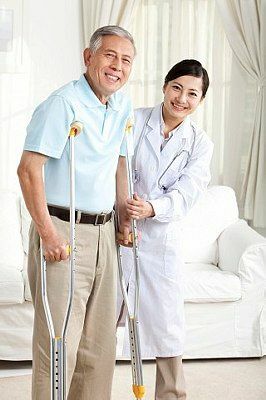 Medicare, Medi-Cal and most insurance companies reimburse for home health care services. Catering to the culturally diverse population in San Francisco and Daly City, our team members are bilingual in order to serve Cantonese, Mandarin and English speaking clients and to ensure a higher level of comfort. If your loved one seeks home health care, don’t hesitate to get us involved. We will contact the patient’s physician to learn more about their needs. Stay connected with Self-Help for the Elderly through social media! Connect with us and we will keep you up-to-date about our events, services, and our senior’s social activities! Have our services made a positive impact on the life of an elder close to you? Have we provided you with a friendly cleaning service? We would love to hear about it, leave us a review! We have many opportunities for you to be involved with Self-Help for the Elderly! Whether it’s volunteering at an event or hiring our cleaning services, give us a call to learn more.